It’s no secret that medical care in the U.S. is expensive. The discrepancy between expenses in the U.S. and elsewhere is leading increasing numbers of Americans to travel overseas for better-priced medical procedures. A nose job in Brazil, for example, can cost about 60 percent less than in the U.S. Similar savings can be expected for a spinal fusion in Turkey. Heart bypass surgery in India can be 90 percent less expensive. Even factoring in the cost of travel, the savings can be substantial. And you’re getting a pre-op vacation thrown in as well. Of course, fear and uncertainty combine to put a brake on a widespread turn to medical tourism. Americans trust American hospitals. Hospitals in other countries, not so much. But choosing a hospital a continent away need not be a shot in the dark. According to Patients Without Borders, a publisher of medical tourism guidebooks, there are almost 500 hospitals outside the U.S. that have been accredited by the Joint Commission International, which holds medical facilities to strict international standards. American medicine is not without its proponents. Despite high prices, around 800,000 foreigners traveled to the U.S. for medical reasons, making it the third-most visited country for medical tourism. 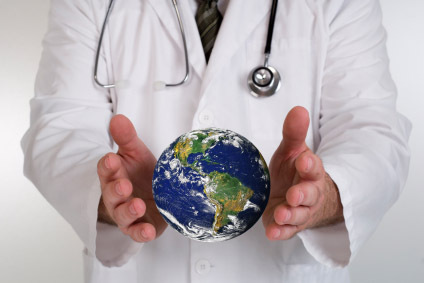 Would you travel abroad to save money on a medical procedure?